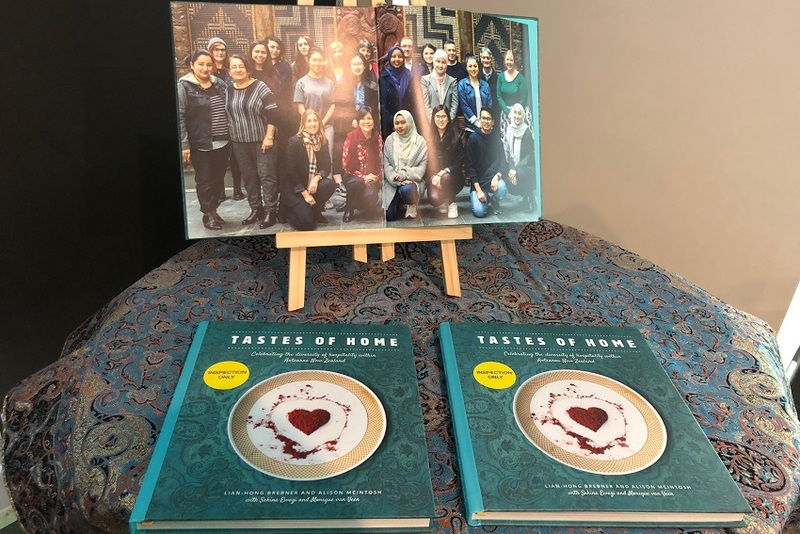 On Monday 12 November, a group of volunteers launched ‘Tastes of Home’ – a cookbook featuring family recipes and stories of AUT staff and students from migrant and refugee backgrounds. Proceeds from the sales will go towards a new scholarship fund for young people from refugee backgrounds to support their study at AUT. The idea for the cookbook came from Linda O’Neill, Head of School - Hospitality and Tourism and Deputy Dean - Culture and Society, with Diversity Manager Lian-Hong Brebner from Student Services and Administration and Professor Alison McIntosh from the School of Hospitality and Tourism as the driving force behind it. The project has been a year in the making, with the pair inviting people across AUT to voluntarily collaborate in creating the cookbook from start to finish. Students, staff, alumni and their families shared their stories and recipes, journalism students wrote the stories and hospitality students tested and standardised the recipes. The book, which features 15 recipes from a diverse set of contributors, costs $60 and is available from the AUT shop. All proceeds will go towards the new scholarship fund. At the launch event some of the delicious recipes from the cookbook were on offer, including Fatima Ewazi’s chicken biryani, khoresh karaf (braised lamb with celery and herbs), authentic falafel, kifteh (Assyrian meatballs) and kac kac (Somali donuts). Lian-Hong says that the book is an extension of AUT’s commitment to diversity. “There are very few university scholarships for students from refugee backgrounds. This will be a unique opportunity for former refugees to overcome financial hurdles to tertiary education,” she says. Her favourite moment was being able to visit the homes of the students, where she had the best falafel she’d ever tasted. “Being invited to their homes, sharing recipes, and talking about food, hospitality and traditions was such a privilege,” she says. AUT alumna and Graphic Designer/Photographer for Student Services and Administration Sakina Ewazi says the cookbook is important as the fund will make a difference to someone’s life. 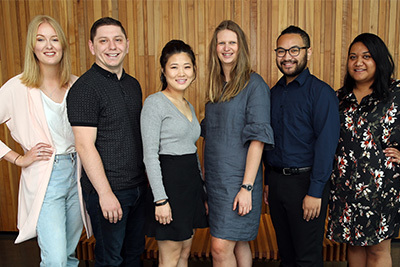 “Being a former refugee and a scholarship recipient, I know how a scholarship can change your life – being given the opportunity to receive university education is one of the biggest achievements in life. This book will without a doubt change another individual’s life, the same way my scholarship changed mine,” she says.